as we are approaching the end of the year, the British Olympic Association has published on its website this year’s Christmas card which contains also a link to a video highlight of Team GB success in Beijing. You can access the Christmas card and the video here. The videoclip is absolultely excellent and pays tribute to the British success at the Olympic Games in Beijing this summer. 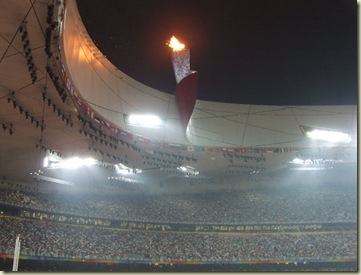 24th of August 2008, the Olympic Games in Beijing are just closed and the celebrations begin! Team GB had the best games since 1908 winning 47 medals and ending fourth in the medal table. The Olympic Games in Beijing have been an incredible challenge for myself, my colleagues at the BOA, the fellow sports scientists involved in all sports qualified and all the coaches and athletes competing in China. Hard work always pays, and it was such an amazing feeling to come to the conclusion of the games having accomplished the best result ever for British Sport. 19 Gold medals, 13 silver and 15 bronze and performances that will always be embedded in everyone’s memory. When the Olympic torch was lit on the 8.08.08 we all knew Team GB was going to be a great surprise, we knew how much work we put into preparing the team for the environmental, travel and cultural challenges and we were convinced we put every athlete in the best possible condition to compete. The recces conducted in the previous years in China and Macau, the workshops, the research studies, the meetings with various sports experts, the hours spent in finding solutions and convincing practitioners on various procedures have produced the results that we were all dreaming and hoping for. Fourth in the medal table has a lot of meanings for me. First, it means we are getting closer to the superpowers, secondly it means we improved massively from Athens 2004, third it means we beat the Italians by 19 medals. The fourth one is something I learnt here in the UK, fourth also meant we beat the Australians! 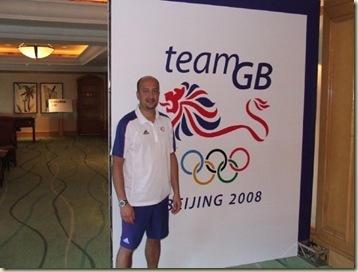 I am delighted and honored I was given the opportunity to lead the Sports Science aspects of the Olympic preparation project for Team GB and would like to thank all the colleagues that worked with me to implement the preparation and competition plans. Listing all it would be impossible, you know who you are and you should be all proud of the fantastic results your athletes obtained. I believe everyone that works in sport in Great Britain should be proud of Team GB’s success at the games as such results are due also to the hard work of the coaches and volunteers who identified and coached the fantastic talented athletes so successful in China. Last but not least I would like to thank the British Olympic Association and UK Sport for the funding provided to the various operations and the trust and support received since 2005. 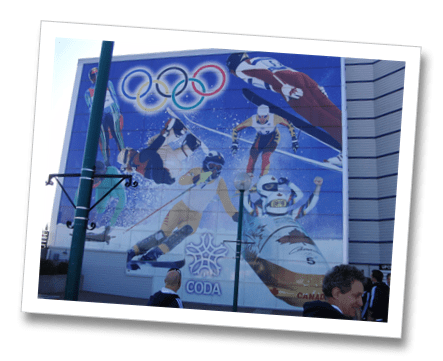 Now, it’s time to think about Vancouver 2010 to make few surprises in winter sports and then London 2012 to ignite Great Britain again! I promise all readers I will try to update the blog more often now with some technical articles. Stay tuned!